you no need to require any skills or doesn't need to pay a penny. Step 1. Platform, if you are using blogger then choose blogger or you have simple website just choose first option www. Step 2. 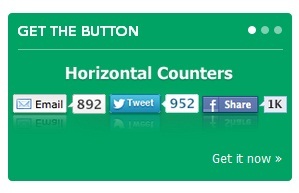 Style, Select how you would like to present the sharing buttons. You can either select the Buttons for the traditional implementation or Bars for persistent sharing options. Step 3. Customization, select you services drop you add-ons to "Selected Services" and check out preview of your buttons. Final step, just click "FINISH: Get the Code" and register to your site after that get your code and install it to your site.